"Lobbyist" redirects here. For the South Korean TV series, see Lobbyist (TV series). For other uses, see Lobby. Lobbying, persuasion, or interest representation is the act of attempting to influence the actions, policies, or decisions of officials in their daily life, most often legislators or members of regulatory agencies. Lobbying is done by many types of people, associations and organized groups, including individuals in the private sector, corporations, fellow legislators or government officials, or advocacy groups (interest groups). Lobbyists may be among a legislator's constituencies, meaning a voter or bloc of voters within their electoral district; they may engage in lobbying as a business. Professional lobbyists are people whose business is trying to influence legislation, regulation, or other government decisions, actions, or policies on behalf of a group or individual who hires them. Individuals and nonprofit organizations can also lobby as an act of volunteering or as a small part of their normal job. Governments often define and regulate organized group lobbying that has become influential. The ethics and morals involved with lobbying are complicated. Lobbying can, at times, be spoken of with contempt, when the implication is that people with inordinate socioeconomic power are corrupting the law in order to serve their own interests. When people who have a duty to act on behalf of others, such as elected officials with a duty to serve their constituents' interests or more broadly the public good, can benefit by shaping the law to serve the interests of some private parties, a conflict of interest exists. Many critiques of lobbying point to the potential for conflicts of interest to lead to agent misdirection or the intentional failure of an agent with a duty to serve an employer, client, or constituent to perform those duties. The failure of government officials to serve the public interest as a consequence of lobbying by special interests who provide benefits to the official is an example of agent misdirection. In a report carried by the BBC, an OED lexicographer has shown that "lobbying" finds its roots in the gathering of Members of Parliament and peers in the hallways ("lobbies") of the UK Houses of Parliament before and after parliamentary debates where members of the public can meet their representatives. One story held that the term originated at the Willard Hotel in Washington, DC, where it was supposedly used by President Ulysses S. Grant to describe the political advocates who frequented the hotel's lobby to access Grant—who was often there in the evenings to enjoy a cigar and brandy—and would then try to buy the president drinks in an attempt to influence his political decisions. Although the term may have gained more widespread currency in Washington, D.C. by virtue of this practice during the Grant Administration, the OED cites numerous documented uses of the word well before Grant's presidency, including use in Pennsylvania as early as 1808. Other letters from Washington affirm, that members of the Senate, when the compromise question was to be taken in the House, were not only "lobbying about the Representatives' Chamber" but also active in endeavoring to intimidate certain weak representatives by insulting threats to dissolve the Union. 'Lobbying' (also 'lobby') is a form of advocacy with the intention of influencing decisions made by the government by individuals or more usually by lobby groups; it includes all attempts to influence legislators and officials, whether by other legislators, constituents, or organized groups. A 'lobbyist' is a person who tries to influence legislation on behalf of a special interest or a member of a lobby. Governments often[quantify] define and regulate organized group lobbying as part of laws to prevent political corruption and by establishing transparency about possible influences by public lobby registers. Lobby groups may concentrate their efforts on the legislatures, where laws are created, but may also use the judicial branch to advance their causes. The National Association for the Advancement of Colored People, for example, filed suits in state and federal courts in the 1950s to challenge segregation laws. Their efforts resulted in the Supreme Court declaring such laws unconstitutional. Lobbyists may use a legal device known as amicus curiae (literally: "friend of the court") briefs to try to influence court cases. Briefs are written documents filed with a court, typically by parties to a lawsuit. Amici curiae briefs are briefs filed by people or groups who are not parties to a suit. These briefs are entered into the court records, and give additional background on the matter being decided upon. Advocacy groups use these briefs both to share their expertise and to promote their positions. 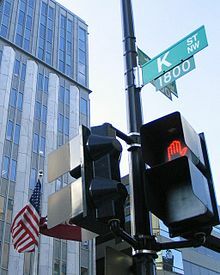 The lobbying industry is affected by the revolving door concept, a movement of personnel between roles as legislators and regulators and roles in the industries affected by legislation and regulation, as the main asset for a lobbyist is contacts with and influence on government officials. This climate is attractive for ex-government officials. It can also mean substantial monetary rewards for lobbying firms, and government projects and contracts worth in the hundreds of millions for those they represent. The international standards for the regulation of lobbying were introduced at four international organizations and supranational associations: 1) the European Union; 2) the Council of Europe; 3) the Organization for Economic Cooperation and Development; 4) the Commonwealth of Independent States. In pre-modern political systems, royal courts provided incidental opportunities for gaining the ear of monarchs and their councillors. Nowadays, lobbying has taken a more drastic position as big corporations pressure politicians to help them gain more benefit. Lobbying has become a big part of the world economy as big companies corrupt laws and regulations. Kellogg School of Management found that political donations by corporations do not increase shareholder value. Over the past twenty years, lobbying in Australia has grown from a small industry of a few hundred employees to a multi-billion dollar per year industry. What was once the preserve of big multinational companies and at a more local level, property developers, for example Urban Taskforce Australia, has morphed into an industry that would employ more than 10,000 people and represent every facet of human endeavour. A register of federal lobbyists is kept by the Australian Government and is accessible to the public via its website. Similar registers for State government lobbyists were introduced between 2007 and 2009 around Australia. Since April 2007 in Western Australia, only lobbyists listed on the state's register are allowed to contact a government representative for the purpose of lobbying. Similar rules have applied in Tasmania since 1 September 2009 and in South Australia and Victoria since 1 December 2009. The first step towards specialized regulation of lobbying in the European Union was a Written Question tabled by Alman Metten, in 1989. In 1991, Marc Galle, Chairman of the Committee on the Rules of Procedure, the Verification of Credentials and Immunities, was appointed to submit proposals for a Code of conduct and a register of lobbyists. Today lobbying in the European Union is an integral and important part of decision-making in the EU. From year to year lobbying regulation in the EU is constantly improving and the number of lobbyists are increases. According to Austrian Member of the European Parliament ("MEP") Hans-Peter Martin, the value of lobby invitations and offers each individual MEP receives can reach up to €10,000 per week. In 2003 there were around 15,000 lobbyists (consultants, lawyers, associations, corporations, NGOs etc.) in Brussels seeking to influence the EU’s legislation. Some 2,600 special interest groups had a permanent office in Brussels. Their distribution was roughly as follows: European trade federations (32%), consultants (20%), companies (13%), NGOs (11%), national associations (10%), regional representations (6%), international organizations (5%) and think tanks (1%), (Lehmann, 2003, pp iii). In addition to this, lobby organisations sometimes hire former EU employees (a phenomenon known as the revolving door) who possess inside knowledge of the EU institutions and policy process  A report by Transparency International EU published in January 2017 analysed the career paths of former EU officials and found that 30% of Members of the European Parliament who left politics went to work for organisations on the EU lobby register after their mandate and approximately one third of Commissioners serving under Barroso took jobs in the private sector after their mandate, including for Uber, ArcelorMittal, Goldman Sachs and Bank of America Merrill Lynch. These potential conflicts of interest could be avoided if a stronger ethics framework would be established at the EU level, including an independent ethics body and longer cooling-off periods for MEPs. In the wake of the Jack Abramoff Indian lobbying scandal in Washington D.C. and the massive impact this had on the lobbying scene in the United States, the rules for lobbying in the EU—which until now consist of only a non-binding code of conduct-—may also be tightened. There is currently no regulation at all for lobbying activities in France. There is no regulated access to the French institutions and no register specific to France, but there is one for the European Union where French lobbyists can register themselves. For example, the internal rule of the National Assembly (art. 23 and 79) forbids members of Parliament to be linked with a particular interest. Also, there is no rule at all for consultation of interest groups by the Parliament and the Government. Nevertheless, a recent parliamentary initiative (motion for a resolution) has been launched by several MPs so as to establish a register for representatives of interest groups and lobbyists who intend to lobby the MPs. A 2016 study finds evidence of significant indirect lobbying of Berlusconi through business proxies. The authors document a significant pro-Mediaset (the mass media company founded and controlled by Berlusconi) bias in the allocation of advertising spending during Berlusconi's political tenure, in particular for companies operating in more regulated sectors. Lobbying in the United States describes paid activity in which special interests hire professional advocates to argue for specific legislation in decision-making bodies such as the United States Congress. Lobbying in the United States could be seen to originate from Amendment I of the Constitution of the United States, which states: Congress shall make no law…abridging the right of the people peaceably…to petition the Government for a redress of grievances. Some lobbyists are now using social media to reduce the cost of traditional campaigns, and to more precisely target public officials with political messages. A number of published studies showed lobbying expenditure is correlated with great financial returns. For example, a 2011 study of the 50 firms that spent the most on lobbying relative to their assets compared their financial performance against that of the S&P 500 in the stock market concluded that spending on lobbying was a "spectacular investment" yielding "blistering" returns comparable to a high-flying hedge fund, even despite the financial downturn of the past few years. A 2011 meta-analysis of previous research findings found a positive correlation between corporate political activity and firm performance. Finally, a 2009 study found that lobbying brought a substantial return on investment, as much as 22,000% in some cases. Major American corporations spent $345 million lobbying for just three pro-immigration bills between 2006 and 2008. Foreign-funded lobbying efforts include those of Israel, Saudi Arabia, Turkey, Egypt, Pakistan, and China lobbies. In 2010 alone, foreign governments spent approximately $460 million on lobbying members of Congress and government officials. Canada: Canada maintains a Registry of Lobbyists. India: In India, where there is no law regulating the process, lobbying had traditionally been a tool for industry bodies (like FICCI) and other pressure groups to engage with the government ahead of the national budget. One reason being that lobbying activities were repeatedly identified in the context of corruption cases. For example, in 2010, leaked audio transcripts of Nira Radia. Not only private companies but even the Indian government has been paying a fee every year since 2005 to a US firm to lobby for ex. to the Indo-US civilian nuclear deal. In India, there are no laws that defined the scope of lobbying, who could undertake it, or the extent of disclosure necessary. Companies are not mandated to disclose their activities and lobbyists are neither authorized nor encouraged to reveal the names of clients or public officials they have contacted. The distinction between Lobbying and bribery still remains unclear. In 2012, Walmart revealed it had spent $25 million since 2008 on lobbying to "enhance market access for investment in India." This disclosure came weeks after the Indian government made a controversial decision to permit FDI in the country's multi-brand retail sector. Ukraine: In 2009, a special working group of the Ministry of Justice of Ukraine developed a draft law "On Lobbying". However, this bill was not introduced into the Parliament of Ukraine. ^ "BBC Definition of lobbying". BBC News. 2008-10-01. Retrieved 2013-06-20. ^ a b NPR - A Lobbyist by Any Other Name? - NPR discussion of Ulysses Grant and origins of the term lobbyist. ^ "lobbying". BBC News. London. 1 October 2008. Retrieved 24 March 2010. ^ "lobbyist". Random House Unabridged Dictionary. 2006. ^ Non-Profit Action description of "Lobbying Versus Advocacy: Legal Definitions" Archived 2010-04-02 at the Wayback Machine. ^ U.S. Senate definition of Lobbying. ^ Andrew Bounds and Marine Formentinie in Brussels, EU Lobbyists Face Tougher Regulation, Financial Times, August 16, 2007. ^ A. Paul Pross. "Lobbying - The Canadian Encyclopedia". Encyclopediecanadienne.ca. Retrieved 2013-06-20. ^ Nesterovych, Volodyymyr (2016). "International standards for the regulation of lobbying (EU, CE, OECD, CIS)". Krytyka Prawa. tom 8, nr 2: 79–101. ^ For example: Nicholls, Andrew D. (1999). "Kings, Courtiers, and Councillors: The Making of British Policy". The Jacobean Union: A Reconsideration of British Civil Policies Under the Early Stuarts. Contributions to the study of world history, ISSN 0885-9159. 64. Westport, Connecticut: Greenwood Publishing Group. p. 51. ISBN 9780313308352. Retrieved 22 November 2018. The royal court was home to the king and therefore was an important arena for policy issues and decisions. [...] we find isolated examples of lobbyists for particular interests. An example of such a figure was Sir John Hay, who spent frequent intervals at court during [the reigns of James VI/I and Charles I] when he acted as agent for the Scottish Royal Burghs. ^ "When Corporations Donate to Candidates, Are They Buying Influence?". ^ Fitzgerald, Julian (2006). Lobbying In Australia: You Can’t Expect Anything to Change If You Don’t Speak Up. ^ "Who is on the register?". Department of the Prime Minister & Cabinet. Australian Government. Retrieved 2015-04-15. ^ "About the Register". Public Sector Commission - Register of Lobbyists. Government of Western Australia. 2011-07-20. Retrieved 2015-04-15. ^ "Register of Lobbyists : Register of Lobbyists". lobbyists.dpac.tas.gov.au. Retrieved 2015-07-03. ^ "South Australian Lobbyist Code of Conduct and Public Register". Department of Premier & Cabinet. Government of South Australia. Retrieved 2015-04-15. ^ "Questions and answers for Victorian Register of Lobbyists". Victorian Public Sector Commissioner - Register of Lobbyists. State Government of Victoria. 2014-06-20. ^ Nesterovych, Volodymyr (2015). "EU standards for the regulation of lobbying". Prawa Człowieka. nr 18: 98, 106. ^ "Taming Brussels lobby". New European. April 25, 2011. ^ Lehman, Wilhelm (2003). "Lobbying in the European Union: current rules and practices" (PDF). Retrieved September 14, 2011. ^ Petrillo, Pier Luigi (March 2013). "Form of government and lobbying UK and UE, a comparative perspective". Apertacontrada.it. ^ a b "Transparency International EU (2017) Access All Areas: when EU politicians become lobbyists". ^ "Pleins feux sur les lobbies dans l'UE (28 October 2009)". Ec.europa.eu. 2009-10-28. Retrieved 2013-06-20. ^ Pseudo *. "Le lobbying passe aussi par le web (12 March 2012)". Dsmw.org. Retrieved 2013-06-20. ^ a b DellaVigna, Stefano; Durante, Ruben; Knight, Brian; Ferrara, Eliana La. "Market-Based Lobbying: Evidence from Advertising Spending in Italy †". American Economic Journal: Applied Economics. 8 (1): 224–256. doi:10.1257/app.20150042. ^ "Government Lobbyists Are More Nimble Than Ever". ^ Raquel Meyer Alexander, Stephen W. Mazza, & Susan Scholz. (8 April 2009). "Measuring Rates of Return for Lobbying Expenditures: An Empirical Case Study of Tax Breaks for Multinational Corporations" Retrieved 7 March 2013. ^ "How did opening borders to mass immigration become a 'Left-wing' idea?". 11 February 2016. ^ "Lobbying by Foreign Countries Decreases". Roll Call. September 14, 2011. ^ "Frequently asked questions". Office of the Commissioner of Lobbying of Canada. October 10, 2014. Retrieved April 7, 2019. ^ "Lobbies in the Knesset". Knesset.gov.il. 1997-04-01. Retrieved 2013-06-20. ^ "Indian government cuts down on US lobbying to lowest in 7 years". The Economic Times. July 30, 2017. Retrieved January 17, 2019. ^ Nesterovych, Volodymyr (2010). "Legalization, accreditation, control and supervisory activity concerning lobbyists and lobbying organizations: prospects for Ukraine" (PDF). Power. Man. Law. International Scientific Journal. № 1: 96–105. Nesterovych V. (2015) EU standards for the regulation of lobbying. Prawa Człowieka. nr 18: 97-108. Nesterovych, Volodymyr (2016). "International standards for the regulation of lobbying (EU, CE, OECD, CIS)". Krytyka Prawa. tom 8, nr 2: 79–101. Nesterovych, Volodymyr (2010). "Legalization, accreditation, control and supervisory activity concerning lobbyists and lobbying organizations: prospects for Ukraine". Power. Man. Law. International Scientific Journal. № 1: 96–105. Pietro Semeraro, I delitti di millantato credito e traffico di influenza,ed. Giuffre, Milano,2000. "Lobbying". BBC News: Politics. London: BBC. 22 December 2005. Retrieved 2007-01-30. "Police loans inquiry is widenened". BBC News: Politics. London: BBC. 30 March 2006. Retrieved 2007-01-30. Look up Lobby in Wiktionary, the free dictionary. Wikimedia Commons has media related to Lobbyists. Lobbyists.info - The largest, comprehensive database of 22,000 registered lobbyists. Contains searchable profiles of lobbyists and government relations professionals, their clients and issues. Top 25 Lobbying Groups at the Wayback Machine (archived December 3, 2002) - Fortune listed the top 25 lobbying groups in 1999. LobbyWatch - a project of the Center for Public Integrity with reports on lobbyists and lobbying efforts as well as a searchable database. NoLobby.com - Capitalism Magazine mini-site. Opposes lobbying restrictions on free speech grounds. The Citizen's Guide to the U.S. Government - an online tutorial containing information for individuals who wish to address issues with their elected officials. Free Speech National Right to Life page containing documents opposing excessive regulation of "lobbying" as infringement on "right to petition" guaranteed by the First Amendment.